Multifunction meters for electrical installations gained a wide audience of supporters, who prefer the combination of all measurement functions in one device. Formerly such meters were not handy and the measurements made with them were less accurate, but nowadays the latest multifunction meters often exceed single function meters with their parameters and their small dimensions allowing the user for convenient and ergonomic work. 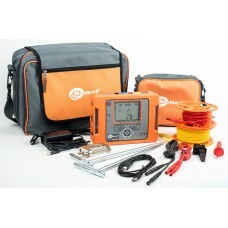 Among other meters available on the market Sonel MPI-530 is really impressive. The meter enables performance of the following measurements: electrical anti-shock protection including earth resistance with different methods, earth resistivity and also illuminance, phase rotation and motor rotation. 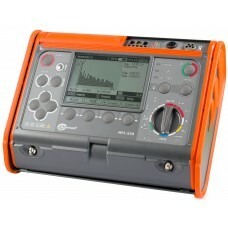 Additionally it enables registration and analysis of voltage, current (including harmonics) and power. Earth resistance measuring is a process which requires much more involvement from the person carrying it out than any other measurements connected with electric shock protection. Therefore, each simplification that may help in performing the test correctly and reduces its duration cannot be overestimated. In the big family of earth resistance meters manufactured by Sonel SA, solutions which generally cover all available measurement methods can be found. Until now, the relation between the functional capacities and price means that the cheapest meters use the three-pole technical method only. On the other hand, meters offering many measuring methods are more expensive. The gap in this regard will be certainly filled by the new, inexpensive, but at the same time, complex meter - Sonel MRU-30 manufactured by Sonel SA.